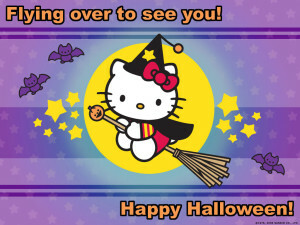 The first character to bring Halloween to Japan was, surprisingly, Hello Kitty. Sanrio was a pioneer in bringing Halloween to Japan. In 1983 there was a KIDDY LAND event and parade in Harajuku. That has been called the first fully-fledged Halloween event in Japan. Halloween events started there in 1992 and there were regularly scheduled events each year until the park closed in 2000. The park also held Halloween events and opened walk-through attractions for the premiere of the movie “The Nightmare Before Christmas” in 1997. 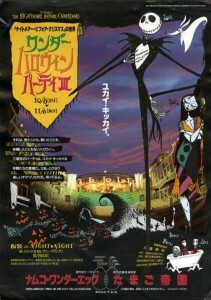 Starting in 1997 an event called “Disney Halloween” was held at Tokyo Disneyland. Going into the 2000s the Disney Store began having activities and the new culture of Halloween spread throughout the country. 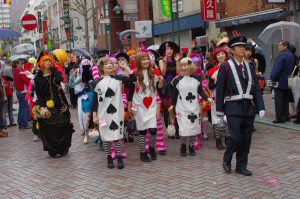 The Harajuku Omotesando Halloween Parade crosses along 1km of Omotesando Avenue with approximately 1000 children in costume participating each year. Also, for the first time ever this year in 2015 the Kawasaki parade will take over an all lanes on one side of the main street in front of the station, allowing for an extensive area for the parade.